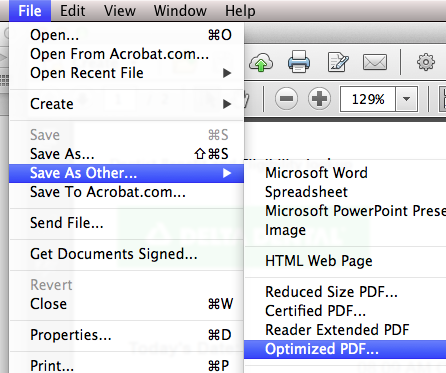 If your PDF files are huge, and you can't figure out why, there's an easy way to check. Using Acrobat Pro, the easiest way to determine why your files are so big (and possibly reduce the file size) is to open the PDF Optimizer by clicking on File>Save As Other>Optimized PDF. 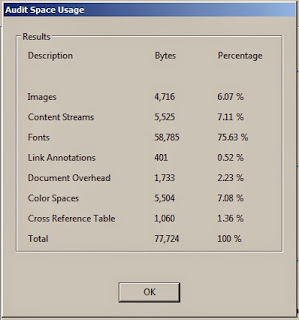 At the top right of the PDF Optimizer dialog click on the Audit space usage button. Which brings up this dialog box. 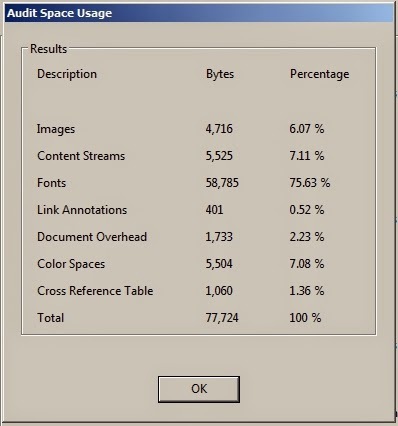 With the PDF Optimizer, you can alter the compression and downsampling settings to achieve your goal of reducing file size. With the Auditor, you can see your results.